Or view larger version. Shipyard Workers. c 1943. Dorothea Lange, photographer. Gelatin silver print. Collection of the Oakland Museum of California. Gift of Paul S. Taylor. 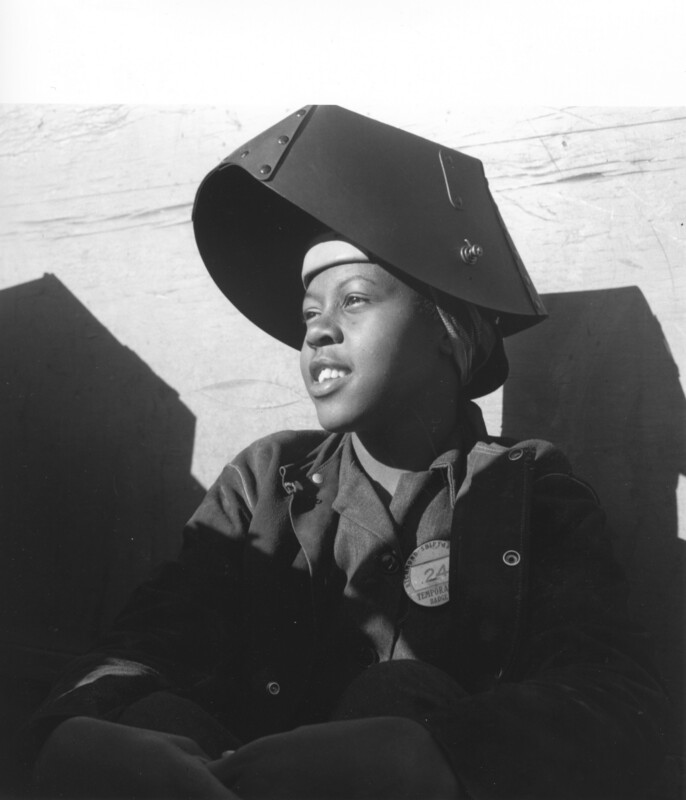 This photo shows an African American female welder from the Kaiser shipyard in Richmond, California during World War II. Approximately 12 million women worked in defense industries and support services across the Nation, including shipyards, steel mills, foundries, warehouses, offices, hospitals and daycare centers.